After an amazing day in the lush surrounds that is The Court Hotel Complex and after what will no doubt be amazing performances from Faithless, Heidi Roland Tings & Rachel Harvey we give you more! 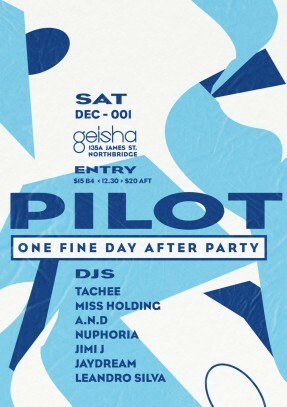 Just as you feel that too much just isn’t enough we throw open the doors at Geisha for the After Party. . After a long hot day the night is set to be pure bliss! Best of all its a Saturday! Entry $10 with wristband before 11.3pm from One Fine Day. As always discount Cocktails until Midnight!